Keeping your warehouse operating smoothly is of the utmost importance. You also want to make sure that you keep up appearances properly. There will come a time when you will need to repaint your warehouse. Over the course of time, your paint is going to fade and you need to be able to freshen things up. Knowing when it is time to repaint will be easy so long as you know the signs that you should be watching out for. Sometimes you are just going to want to repaint for purely aesthetic purposes. 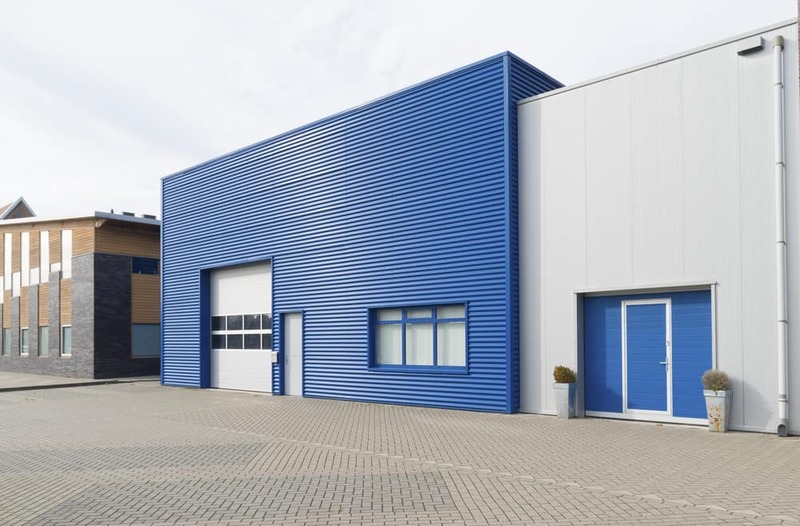 If you feel as if your warehouse does not look its best or you are tired of the old paint job, then repainting the warehouse is a good solution. You can protect your warehouse from harm with a fresh coat of paint while ensuring that things look great. This is an easy fix to your aesthetic woes so don’t hesitate to repaint if you simply want to. Faded paint is one of the most common signs that people notice when they need to repaint a warehouse. Normal exposure to sunlight is going to cause your paint to fade over time. In order to keep your warehouse safe, it is important to apply a fresh coat of paint when you notice that it has become faded. Pale paint jobs will look much duller than usual so it is pretty easy to tell when things have reached this point. If your paint has started to peel, then it is even worse than if it has just become faded. This generally happens when moisture is negatively impacting the paint job. It works its way into the wall and messes with the bond between the paint and your walls. The elements may take a toll on your paint job over time but it can be fixed up by simply repainting things. When you start to notice cracked caulking on your walls, it is another sign that your warehouse needs to be repainted. If you have any large gaps in your caulking, then the best thing that you can do is apply a fresh coat of paint over it. Sometimes you may wish to simply apply some fresh caulking when the gaps are not too worrisome. Just remember that the goal is to protect your warehouse and you do not want water or insects getting in due to a flaw with the caulking. Noticing rust on your metal walls is definitely enough to make you worry. You need to treat your metal properly over the years to ensure that this does not happen. Treating the walls properly and painting them will protect from the potential of rusting. If the walls have started to rust, then you should take swift action to remedy the problem. Repainting your warehouse is something that should not be overly difficult. You will be able to take note of the signs that you are seeing and can fix the problems quickly. Issues such as rust will need to be dealt with right away to protect the walls from becoming weaker. Whenever you have concerns about the paint job, it isn’t going to be a bad idea to touch things up.